This website shows some pictures of old iron manhole covers... The visible glossy access to the dark underground world of sewers. to where we send what has to desapear of (our) life. NOTA : Sewer and even underground are not our main subject of interest and are not well explained in these pages. However, manhole covers are one of their most visible part in daily life and we feel usefull, preliminary, to evocate this essential aspect who determinates their form and use. 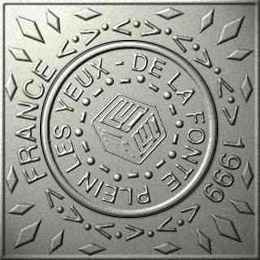 All models presented here are old french manhole covers. Every comments, informations, suggestions, about the site and / or its subject are welcome.